The case for a Russian nerve-agent attack on the Skripal’s completely fell apart when they recovered and want into silent running. 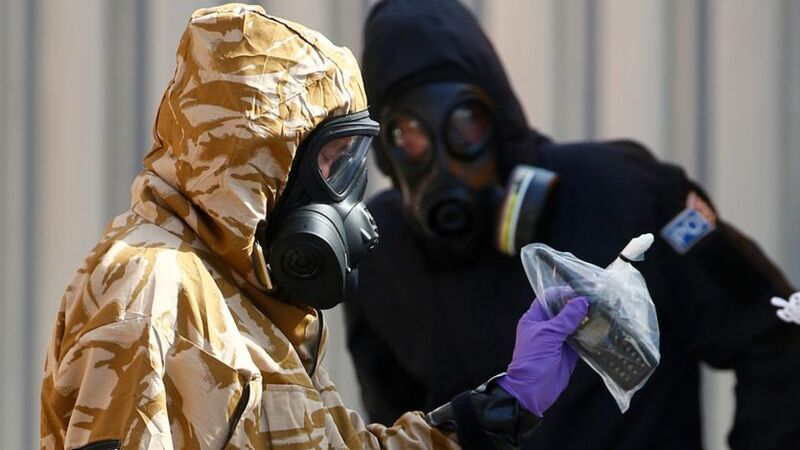 Now the British government is doubling down with a second case of so-called Russian “Novichok” poisoning. However, buried within recent articles about the second couple who fell ill, are snippets of the truth – that these poisonings are the result of exposure to Fentanyl, the deadly synthetic opioid that can range from 80 to 500 times more powerful than morphine. While the national government cries “Novichok”, the local police and press caution “overdose warning”. “POLICE have issued an urgent warning to drug users in the south of Wiltshire after two people fell seriously ill in Amesbury over the weekend. Emergency services were called to an address in Muggleton Road on Saturday evening after a man and woman, both in their 40s, were found unconscious in a property. They are both currently receiving treatment at Salisbury District Hospital and are both in a serious condition. It’s hidden in plain sight; this is not a Novichok attack from Russia, it’s a poisoning/overdose related to drug use in this case. Indeed, the Skripals were poisoned (we assume) also by contacting something like Fentanyl. This does not, however, dismiss the idea that the attack may have been intentional. I suggest the Skripal’s were victims of a British political plot, while a similar poisoning hit the second couple through a common overdose. NOTE: Some abusers of fentanyl may apply heat to a fentanyl patch in order to release its effects rapidly. Doing so increases the intensity of the side effects and can throw the user over the line into overdose. •Shallow, difficult breathing / respiratory arrest. •Obtundation (altered level of consciousness). This entry was posted on July 10, 2018 at 3:43 pm and is filed under Tell the truth and run !. You can follow any responses to this entry through the RSS 2.0 feed. they were one of the major reasons we got WW1 and WW2. I gotta tell ya-nothing good comes outta England and has not since several music bands have, that’s it. You know, genocidal acts make me sick and these bums in London should be dragged, Like Cheney, Condoleesa Rice and other mentally ill ‘humans’ to crime courts-the ones of Crimes Against Humanity, Crimes Against The Peace and War Crimes.